Culina Kitchen Products Prize Package Giveaway! My home is like anyone else’s in that we use all the common kitchen items. Cookie pans, cake pans, peelers, shredders, etc. It’s amazing at the things you use on a daily basis and don’t thing anything of it. Culina offers a line of high quality kitchen products. If you’ve never heard of Culina, we would love to introduce you. Culina Collection is a line of quality kitchen ware, including (but not limited to) cookware, bakeware, utensils and tools, all ergonomically designed to simplify your life and enhance your culinary skills. They pride themselves in offering 100% satisfaction guarantee, non-toxic products of superior construction utilizing advanced materials such as temperature-resistant silicone, robust, heavy-duty stainless steel, titanium, or sustainable resources such as bamboo. All Culina products are of the highest quality and I love their 100% satisfaction guarantee! They would make a great addition to your kitchen and all of them would make great gift ideas or stocking stuffers for the coming holidays. Go by and see what Southern Krazed thought about them in her full review here. If you would like to purchase these and other awesome Culina Products, you can find them on Amazon. Right now, you can also get 10% off by using discount code OCT10PCN. Coupon code is valid through October 31, 2014. How about a chance to win these awesome Culina Products? We thought you might! Culina is offering an amazing prize package for one of our lucky readers! One of our lucky readers will receive a Culina Kitchen Products Prize Package! Culina Baking Pan of choice: Nonstick Cookie Pan 11’x17″, Angel Food Pan, Nonstick Square Cake Pan, nonstick Rectangle Cake Pan 9″x13″ or Nonstick Round Cake Pan 9in. Giveaway ends 11/5 at 11:59 pm ET! Open to US residents 18+ and older. cookie sheets or frying pan. most used item would be the coffee pot, and the microwave lately. im not home to much so the older kids are cooking my pre portioned meals for everyone. they are doing well with it,lol. master microwavers, lol. My most used kitchen item is the blender. I use my cookie sheet the most. My most used item besides the normal knifes and pots and pans and stuff like that is probably my kitchenaid. I love the thing and use it a lot, especially for baking as I love love love to bake. Thanks for the Chsnce to win these awesome items, I would def enjoy using them. I think I use my cookie sheets the most. I use my paring knife the most. My most-used item is the wooden cutting board I use every day! Our most used kitchen item is our cookie sheets. My best and favorite knife. I use my microwave the most. My big pasta serving spoon, cutting board & knives. My knives are the most used items in my kitchen. It would be hard for me to pick just one as it would be a toss up between one of my santoku knives and my paring knives. I love my knives. They are chef quality and do an amazing job of cutting whatever I am using them on. You can never have too many cooking sheets and utensils. I use my cookie sheets daily. My most used item is probably my cutting board. My most used item in the kitchen is my immersion blender. I can quickly make my daily smoothie. We use the microwave the most. I use the microwave the most. Would love to win this giveaway! My most used kitchen item is my cutting boards. We use them nearly everyday! I use my bar pan every night it seems! My most used item is my wooden trivet. That would probably be our frying pan. I am always in the kitchen, but lately I think I have been using my vegetable peeler mostly! Measuring cup and wooden spoons! That would have to be my crockpot. Use it many times a week. My microwave is my most used item, and also my toaster. My most used item in the kitchen is my 8 Cup Glass Measuring Cup. I use my favorite knife the most. I have 2 most used items. The first is my Cutco knife and the second is my cast iron pan. Love them both! My most used item is my paring knife. The cheese grater is used very often, I love cheese! My most used item is my favorite knife. my most used is my vegetable peeler… then my baking dishes. and my crockpot! My most used item in the kitchen would definitely be my Kitchen Aid stand mixer! My mom and sister got it for me 10 years ago and it is awesome! I use it for so many things! My slow cooker is my most used. We love it! The most used item in my kitchen probably is the coffeemaker. It would have to be my microwave. I use my baking pans the most. I would say my most used tool is my kitchenaid mixer! What is your most used item in the kitchen? It has to be the microwave. My your most used item in the kitchen is my favorite knife. I have a large cast iron pan that I use a lot. I’ve had it for about 15 years. My most used is definitely my cookie sheet. I think we probably use the microwave more than anything else. I’m always defrosting in it and heating leftovers. My toaster oven is something that I use everyday. It is a Breville and bakes and toasts wonderfully. I have a large frying pan with a lid that I used almost every day, I make my spaghetti in it, rice, stews, breakfast for a crowd and use it for frying foods, I love that pan. I would say the microwave. Mostly used for heating or defrosting We don’t usually cook in it. My most used kitchen item is my blender. The most used item in my kitchen is my colander. The shredder is used almost daily. My most used item in the kitchen is my non-stick searing pan. 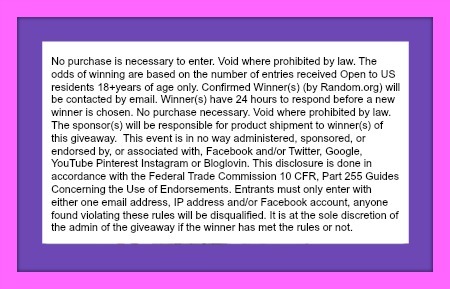 Those peepers are adorbs…if I win I will give my niece the dolphin…she’s obssessed 🙂 I like this giveaway…thx for having it! I would say that my frying pan is the most used item……my husband fries everything. My paring knife is the most used item in my kitchen. Our microplane really gets a work out. We use it for shredding hard cheeses and mincing garlic all the time. My coffee maker is my most used item in the kitchen. Our toaster oven gets a lot of use! My chef’s knife. So useful! My most used item in the kitchen is the microwave! My pizza stone is my favorite item. My paring knife for cutting vegetables and fruit all day long. That would have to be my knife and cutting board. My spatula is my most used item in the kitchen. Our most used pan has to be the Cookie sheet, I make flat bread daily in the oven! My paring knife is my most used. That’s tough, probably the knives and the wooden spoon. I use my Core cutting board and Core utility knife almost daily. Would love a new veggie peeler though. I use a peeler,frying pan,cookie sheet or a 6 quart pan,thanks for the chance. SHREDDER !!!!! loads of cheese…. I have a frying pan and a cookie sheet that I use almost daily. I use my backing pan the most because my hubby has to have his biscuits at meal time. My most used item in my kitchen is my vegetable peeler because I love and clean a lot of vegetables.